This is a guest post by Tom Evans, COO of EmailOctopus. Like most businesses these days, we use SaaS platforms to help grow, monitor and keep our business running. 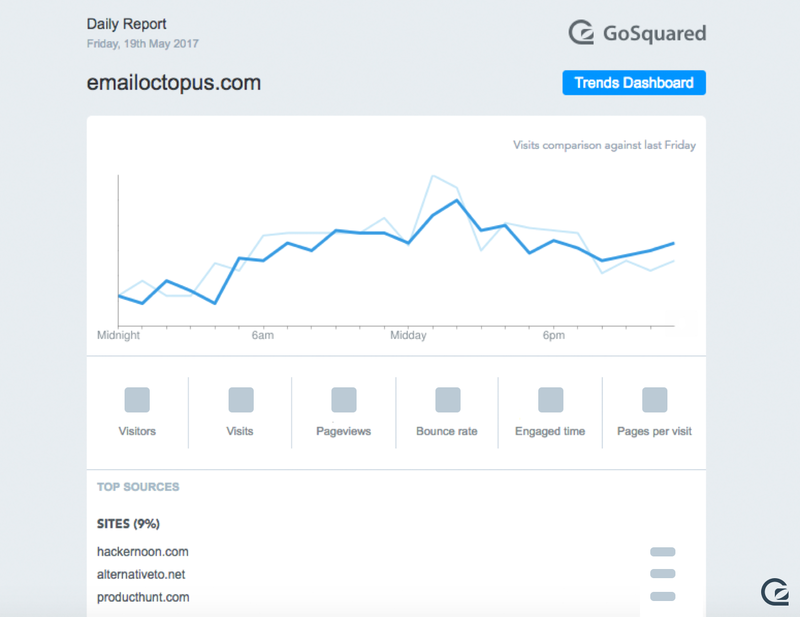 At EmailOctopus we’ve been using GoSquared for just over a year now, during which time we’ve grown our user base from around 100 customers to the 600 customers who use us today. We began using GoSquared as it was one of the analytics tools I’d implemented at Secret Escapes, where I worked in the Product Team. Secret Escapes is a consumer flash-sales travel site, which sees thousands of visitors online at a time, so we used GoSquared for purely monitoring the site usage in real time. Unlike other analytics platforms, we could see almost exactly down to the second when our daily promotional newsletters were sent out due to the huge spike in the traffic graphs. Now, at EmailOctopus, where by our nature we have much fewer (but higher value) visitors, our use case differs significantly, but it has become even more integral to regular reporting and monitoring than ever before. We use Zendesk for most of our customer support, although recently we’ve begun to roll out live chat to customers during the onboarding flow as we look to increase our trial-to-paid conversion rates. 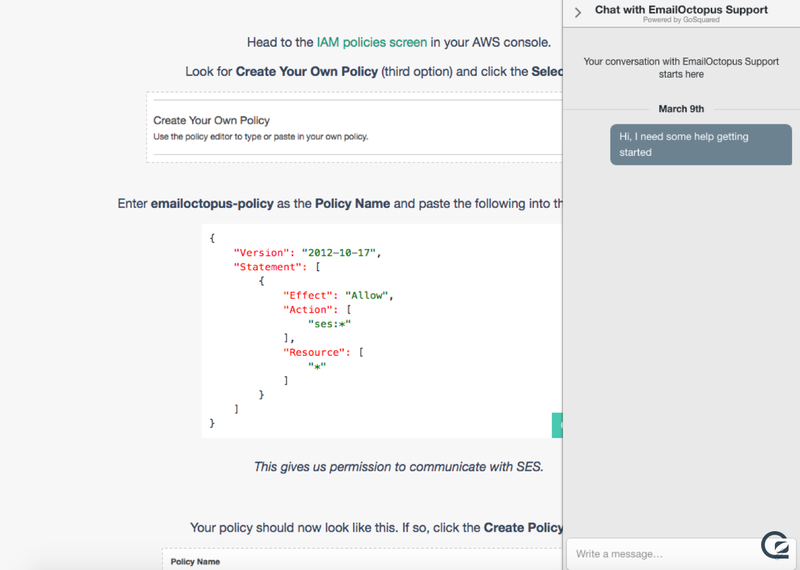 We opted to use GoSquared Live Chat for this, rather than an external tool such as Tawk.to or Zendesk’s own offering. Because we were already signed up to use the full GoSquared suite (both Analytics and CRM), Live Chat was already included in our monthly plan, meaning we didn’t have to spend any extra; always important to a startup. The features offered by the GoSquared chat were superior to the alternatives we looked at too; already knowing the journey path of the user, their social profile, and most importantly, their account details as soon as they began chatting was invaluable. It no doubt reduces the friction from a user’s perspective and helps us understand our users better. We’re a small team and can’t always be in front of our computers so the Inbox mobile app is also an important feature for us. Using the iOS app to respond to customers is incredibly important, as is the Slack integration which goes straight into our support channel, ensuring we can respond to our online customers within minutes. The impact of being able to onboard our users personally, using Live Chat, has meant that we’ve more than doubled the rate of users (from 13% to 25%) who complete the setup process and go on to send an email – a huge win for both us and our users. In a B2B SaaS business, viewing your users as people is incredibly important. Each of your users is a business, who have different requirements and usually, a different budget. GoSquared People Analytics is something we use heavily at EmailOctopus, as it allows us to view the key characteristics about those customers from the moment they register. We’ve used Smart Groups to alert our team, via Slack, when potentially interesting users sign up to the platform allowing us to offer an even more personal service to highly qualified influential users. People Analytics comes into its own the more data you supply to it; the better you understand a customer, the better you can meet their requirements. We use the GoSquared SDK to add further information about our users to the platform, such as which plan they are using and information about their company which we collect during our onboarding process. This allows us to create segments and view the behaviour of our users, both as a cohort and as individuals. As we’ve begun to scale our acquisition efforts, we’ve also made sure that we track the source and medium of all our users, using UTM tags. This again allows us to see which channels are working best for us and provides the highest quality of customer. At EmailOctopus we’re only a small team, who try to cover all bases from customer support through to development of the platform. Because of this, we don’t often get to dive into our data as regularly as we’d hope – for this reason, the daily and weekly reports emailed by GoSquared are so, so useful. Each morning we wake up to an update on the previous days performance so we can view at a glance the greatest source of traffic. This is great for getting a quick glance at how we’re doing on a comparative basis, as well as capturing whether we’ve been fortunate enough to have been mentioned on Hacker News, Reddit or similar. As you can see above, GoSquared plays a key role in our day to day running of EmailOctopus. 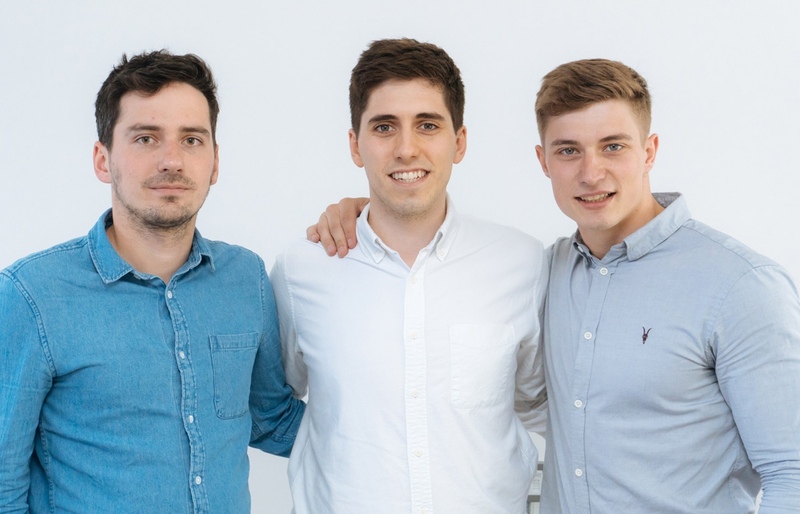 For such a small team, it’s so important for us to find tools which make our day to day lives easier and help improve the lives of our customers. Our growth over the past year has been much to do with how we treat and help our customers, with a significant portion of those 500 new customers coming through word of mouth. Ensuring as we grow that we still treat customers as individuals and understand their needs is paramount to our growth strategy. A side-effect of growing so quickly is that Jonathan and I are now able to spend less time than ever on a per-customer basis. To combat that we’re planning to integrate GoSquared even more tightly into our application. We’ll begin to add properties such as “Number of email campaigns sent” and “Number of contacts stored” so we can analyse portions of our base quicker, without the need for complex database queries. That data is incredibly important to planning how we scale our own application and for forecasting churn. We’re also beginning to hire more staff, some of whom will have time dedicated to working on support. Our Live Chat pilot was so successful that we’ll be rolling this out into all places in the EmailOctopus application, once we have that dedicated team in place. As we continue to treat each customer as an individual, we hope (and expect) that GoSquared will continue to do that with us. Their additions over the last year, such as Live Chat and the improvements to People indicates that and we have our fingers crossed that further integrations are on the way. We’d love to also be able to do further funnel analysis and begin to look deeper into our customer segments – something I’m sure the team have on their roadmap.